There are lots of ways to make money on the road depending on your talents. After many years of traveling all across the country, I now make my living as a gate guard in the oilfields of Texas which requires living in your own RV onsite. While I do it full time at the moment so I don’t move around much except for my three to four vacations a year, others do it only in the cooler winter months and save their money to get through the rest of the year with other workamping jobs, pensions, or Social Security. If you don’t like working for others, a good option is to work for yourself by selling at fairs and festivals. If you have a toy hauler or a motorhome that can tow a utility trailer, this can be a great and lucrative option. The first year or two may be tough as you learn the ropes and figure out which ones will be profitable and which ones are mostly lookiloos. In the long run though, if you can find hot products with a good profit margin that are easy to carry and sell well, you can make a living this way. Don’t leave out swap meets. I wrote previously about selling at a swap meet in Salt Lake City, Utah where we did very well and it was easy to get in to sell. 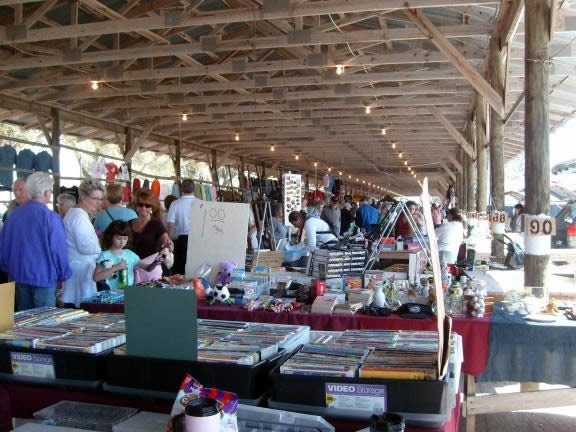 If this interests you, please see https://touringfreedom.com/blog/vending-at-fairs-and-festivals-while-traveling/ for an excellent article on doing this and what is required. Now that it has become so easy to accept credit cards anywhere via smartphone and tablet dongles for Paypal, Square Up, etc., there is no reason you can’t make good money selling handmade crafts and purchased products. I would add that once you have a business setup in your place of residence with a tax resale certificate in hand, it is possible to buy goods wholesale or purchase from the many liquidators spread out all over the country. The key is in spending the time to do your research to find out what people are buying and what people are buying at a particular fair or festival you may be interested in. I would attend a few festivals/fairs before getting started to get an idea of what is selling and what is involved. Perhaps later in the afternoon near closing time when the crowds have thinned you might speak with some sellers to get their take on this lifestyle. Don’t forget, the purpose of this lifestyle is usually to travel and see new things. Don’t get so caught up in traveling to the next fair that you forget to schedule some time off to see the local area. Remember why you wanted to become a full-time RVer in the first place.